SAP Solution covers business scenarios that handle the most complex business requirements of your business, covering core business functions and critical functional areas including R&D with PPAP/Engineering Change, planning and production, product costing and Management dashboards/detailed reports. SAP Solution best suite for process industries handling complex business requirements of this business and supports through Streamlined Procure to Pay, Accelerated Plan to Product, Integrated quality management, Optimized Order to Cash, faster Accounting & Closing Operations and the Business Analytics with dashboards. Key business requirements of Machine/Equipment Manufacturers includes Serial Number Management with back to back warranty with component suppliers. After Sales support in Warranty & AMC are Industry key success parameters. 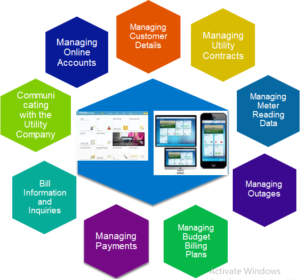 SAP IM&C Solution supports these business processes. SAP MCF supports managing Utility Customers, Meter Reading, Outages, Billing information and also to take Inquiries. SAP SuccessFactors Talent Management Horizontally for All Industries to Manage thier talent efficiently. Successfactor Employee Central is a complete Core HR System or record in the cloud- Employee Record Keeping, Organizational Management, Time and Attendance are basic features. Successfactor Talent Management provides core set of common functionality including Recruiting, On boarding, Learning Management, Performance and Goals, Compensation and Succession& Development are key features under talent management. CRM for the Future Sales, Service and Social Collaboration. 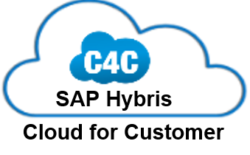 Understand how SAP C4C application helps customers increase sales effectiveness (SAP Cloud for Sales), respond better to customer requests (SAP Cloud for Services) and engage with them using social medial channels (SAP Cloud for Social Engagement).